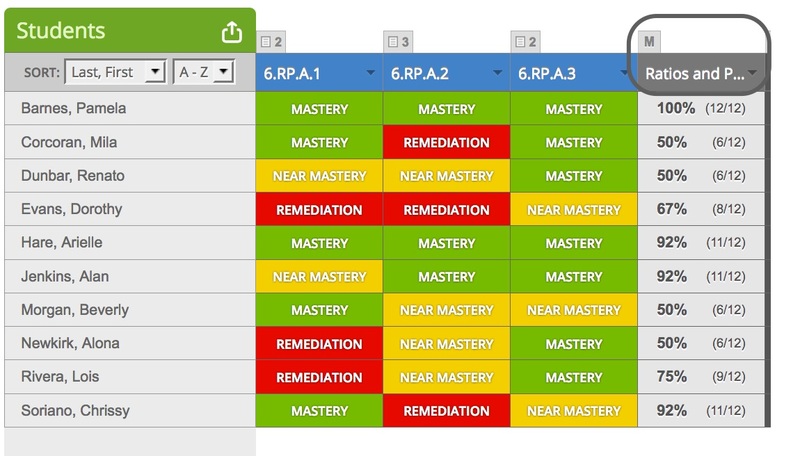 For any assessment, you can make the assessment, answer key, item analysis and student answers available or hidden in the parent and student portals. This can be done through privacy settings in your tracker. By default, these reports are hidden until the assessment is taken by the student, or the teacher alters the settings. 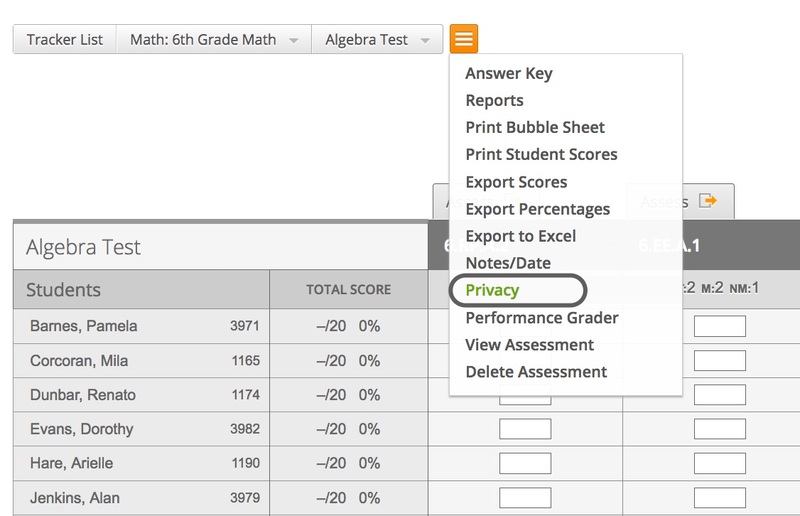 You can change the privacy settings to show or hide the assessment, answer key, item analysis and student answers for all assessments in your tracker, or for individual assessments. For a single standard assessment, click on the standard that has the assessment. Hover over the assessment title and select Privacy. For multi-standard assessments, click on the Assessment title, it will have a grey header and marked by a "M". Hover over the orange menu button, and select Privacy. Select the reports that you want unavailable in the Student and Parent Portals. Then click on Save. Note: This is initially set according to the privacy settings on your tracker. If you make a change to the assessment settings, then change your tracker settings, the tracker will override any assessment settings.